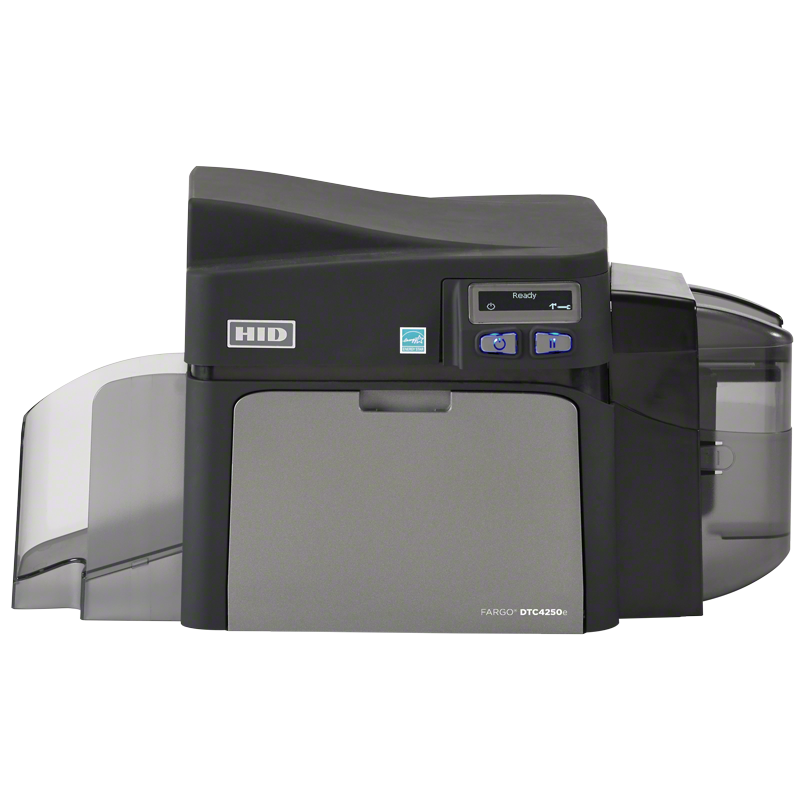 Get more bang for your buck and more freedom for your flexibility with Fargo's new DTC4250e direct to card printer. How did your organisation manage without the DTC4250e direct to card printer? When you purchase the Fargo DTC4250e, you get fast, flexible, reliable and professional quality colour ID cards, as well the option for secure card encoding and all this from one fantastic printer. The modular design of the Fargo DTC4250e makes it powerful and scalable to allow growth and security changes. With optional iCLASS SE® encoder can be fully intergrated into your card printing, which allows you to create, encode and securely manage your access from start to finish. The DTC4250e comes standard with printer password protection and with fluorescent printing to provide a secured cost effective card security, your cards will be safe and secure. That is what you will be saying once you start using the DTC4250e direct to card printer. With it's ribbon cartridge loading from the front and the SmartScreen™ display, you will find the DTC4250e is one of the easiest card printer you will ever use. The Fargo DTC4250e is built with Genuine HID® technology and is fully interoperable with other products in the HID ecosystem, enabling organizations to leverage their existing technology investments.